And I don’t discriminate. I’ll take big butts, little butts, and almost any kind of butts. Ooh, check out this shirt! Can you believe this is an actual shirt?!! 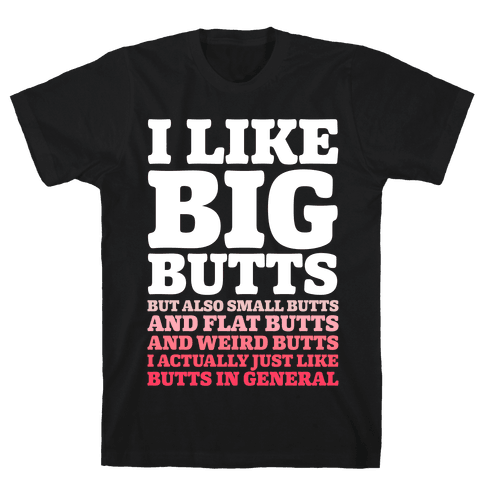 I went searching for Sir Mix-A-Lot to see if there was a gif of “I like big butts” and I was gonna strikeout the big part, but then this shirt popped up in the search and it’s like YAAAASSS! !